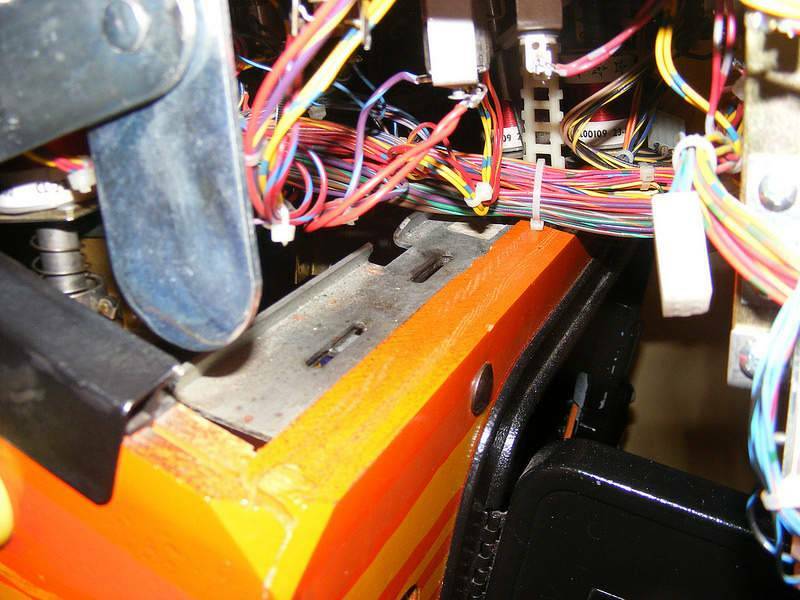 I realize Capcom cabinet hardward is designed so you can pull up and forward to bring the playfield out of the cabinet. I tried this before and found it was a bugger. The playfield wants to move left and right as you bring it up. I stopped at that point and didn't bring it fully out. 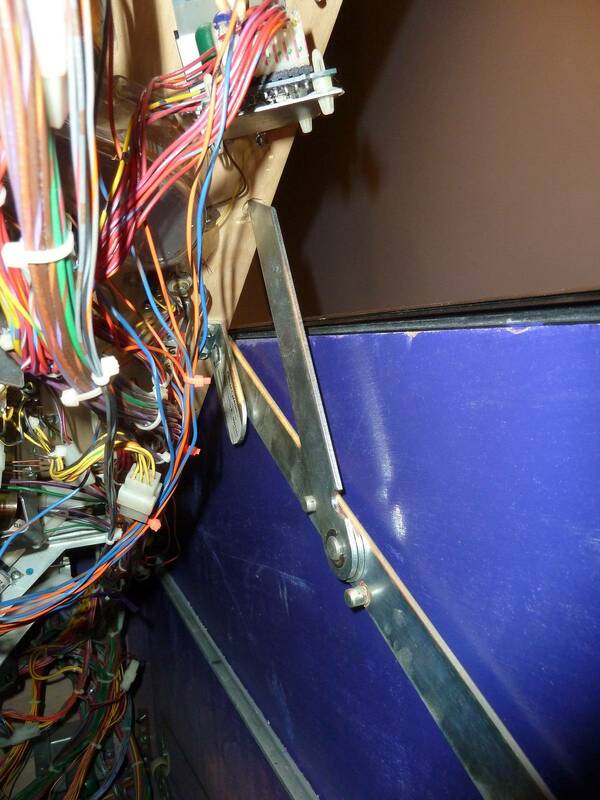 My questions....are the playfield support brackets build well enough that I can rest the playfield on them while I do my work? 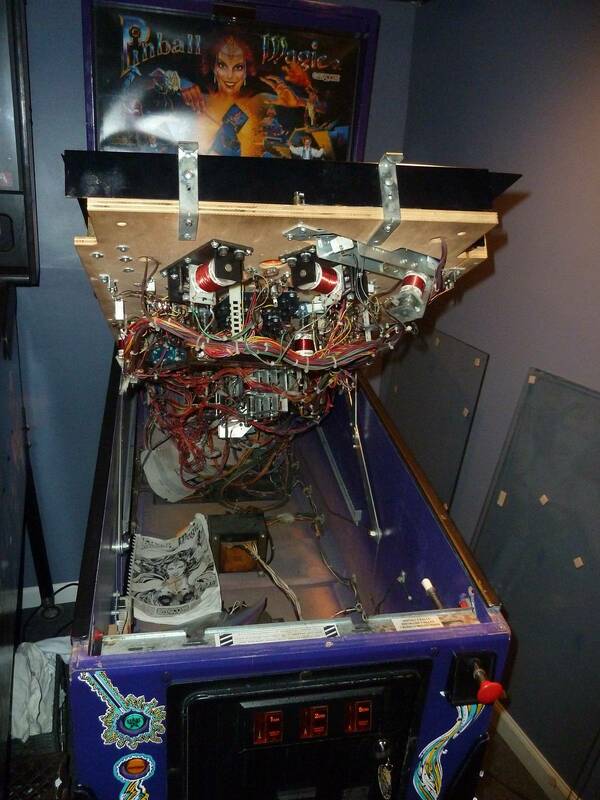 Any secret to getting the playfield up? Any better approach to work at the back of the playfield? If anyone happens to have a Capcom part #A-00229 fire me an email. Initial search is coming up empty at the normal spots: Bay Area and Marco. 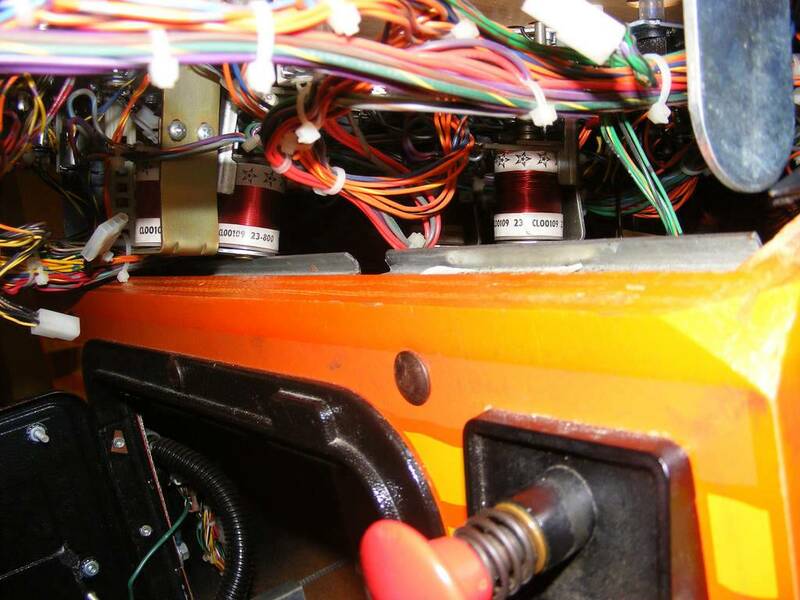 On my PM I can pull the playfield out and straight up, no problem. The assembly allows for two position. Up, for example like a normal Williams game, where the playfield is vertical and rested against the head. The other position allows it to come up and lie horizontal. I'm referring to the horizontal. Are you as well? Just want to make sure we are taking the same thing. Well Capcoms don;t "pull out" like B/W or DE. The raise straight up, or you can use the support bracket to rest on half way up no problem. Anyone got a picture? I want to make sure I'm doing it right. When I attempt to pull it out, so it can rest in the horizontal position there is quite a bit of play as you move it into position. Manual doesn't seem to have any reference to it, unless I am missing that. Only 2 positions I've seen are all the way up and resting on the arm. There is plenty of movement and I usually don't use this method unless I have to...but really it's the same set up in a lot of B/W. OP I know what you're talking about and I've done it but I don't think they intended us to. Get some small cardboard boxes to rest the front of the pf on where it crosses the front door. Boxes will help protect the mechs. Try to find a way to let the pf, not the mechs, bear the weight. Thanks, Mr. Bill. Glad someone understands what I'm talking about So that wasn't intended.... funny that I thought it was a pretty dumb set up, but another collector told me about it. I found it hard to get it into position and was a little concerned about leaving it that way. Sounds like I was right to be concerned. Thanks for the pics TheLaw... I might see if can get access to the ramp that way. It's pretty awkward. Right now, it's against a wall and I might have to move it to get access to both sides. I might see if can get access to the ramp that way. Yeah PM has akward stuff in the back it's hard to get to in either the up or supported way also. I think I did what you're looking for with Breakshot when I was working on it. Was the only way I could get to the back of the playfield. The metal supports rested where the lock bar would normally be. Was a little shetchy, but I put a chair with some cardboard on it under the playfield overhang. Ended up working well. If you need me to I can pull it out and get pics for you. Here is why the metal posts don't work, at least on my Airborne. These worked great with Breakshot, but I still supported the front of the playfield. On Airborne, the PF hits on a coil and a wire loom rather than the metal supports. I put cardboard under the coil, abd again supported the front of the PF that is hangin out, and I can at least get to the back of the machine. A little wonky, but it is working so far.